SINGAPORE — Member countries of the proposed Regional Comprehensive Economic Partnership free-trade framework are aiming to conclude the deal next year, according to a draft joint statement Nikkei obtained on Thursday. The statement is expected to be released on Nov. 14, after the RCEP summit in Singapore. RCEP is a trade bloc that encompasses 16 countries including China, Japan, South Korea, India, Australia, New Zealand and the 10 members of the Association of Southeast Asian Nations. The 16 countries together cover about 50% of global population and roughly 30% of the world’s gross domestic product. 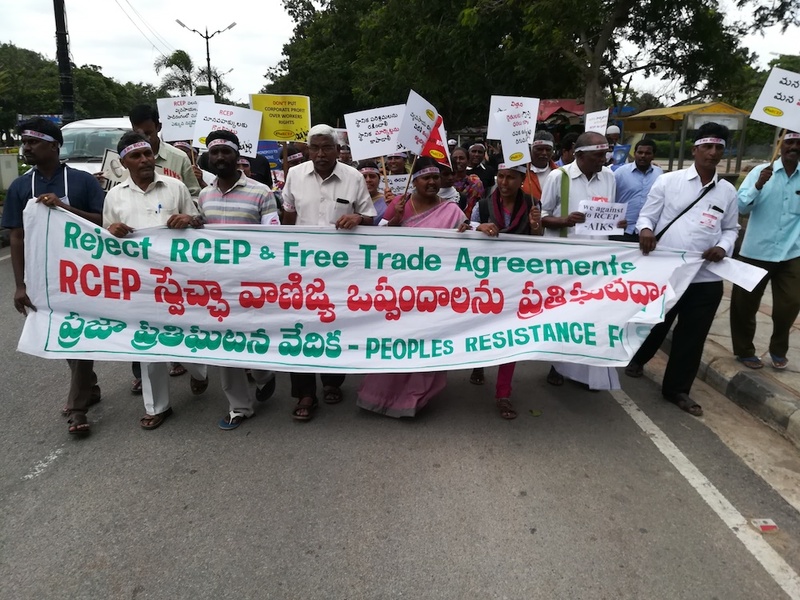 "We endorsed the steps taken to develop the plan for the RCEP negotiations for 2019, and instructed the [economic] ministers and negotiators to work towards the full conclusion of the RCEP negotiations in 2019," reads the draft joint statement. Earlier this year, economic ministers agreed to aim for what they called "substantial conclusion" of the deal by the end of this year, by which they meant the clearance of key hurdles. This stage is hoped to be concluded in next week’s ministerial and summit meetings. The draft shows that members are still in last-minute negotiations ahead of next week’s meetings, and there are still some blanks over crucial points to be filled. RCEP negotiation started in 2013, but members have so far only agreed five of the 18 chapters drawn up. Progress has been slow, given the members have different levels of development and interests. But U.S. President Donald Trump’s protectionist policies have given the members fresh incentive to expedite discussions to encourage free trade. The draft statement also warns of rising protectionism, without naming countries. "We noted that the task to conclude the RCEP negotiations is becoming more urgent and significant given the current headwinds faced by the global economy," it said. The conclusion of RCEP will "demonstrate to the world that it is possible to make trade work for all," according to the document.